I have visited Paul Smiths College twice. First time I bought several T shirts, coffee mugs and lotsa other stuff. When I checked out the lady thank you Paul?? How did you know my name? She said we get you guys in here all the time. I bought too much stuff. As beautiful write and appetizing as well. Now I gotta know what a Michigan taste like. 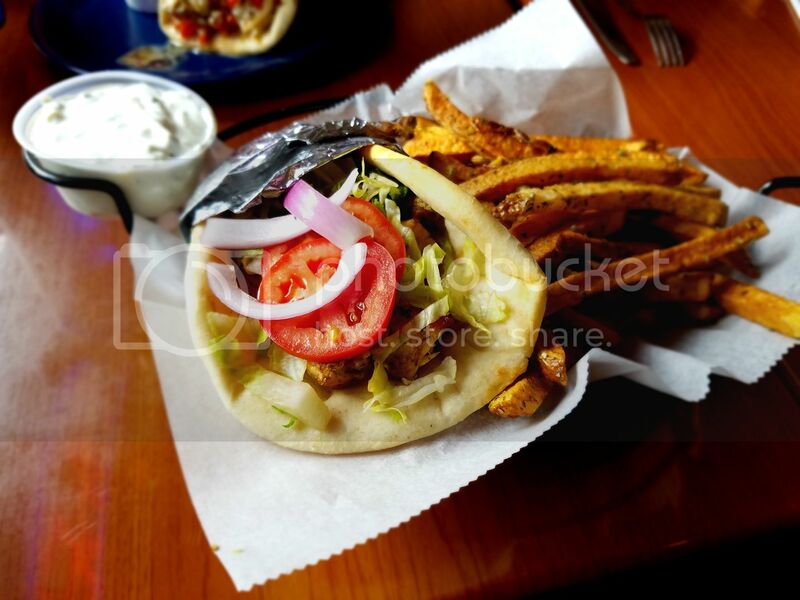 greymo, so sorry your food wasn't up to par on your visits. 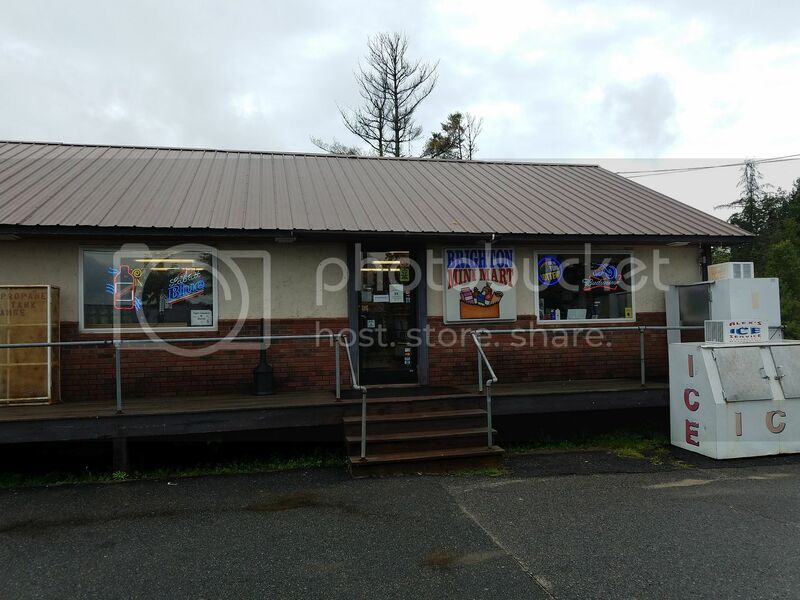 While I did really like the food, I don't think any seafood shacks in Maine or smokehouses in Texas will be losing any sleep over the competition. 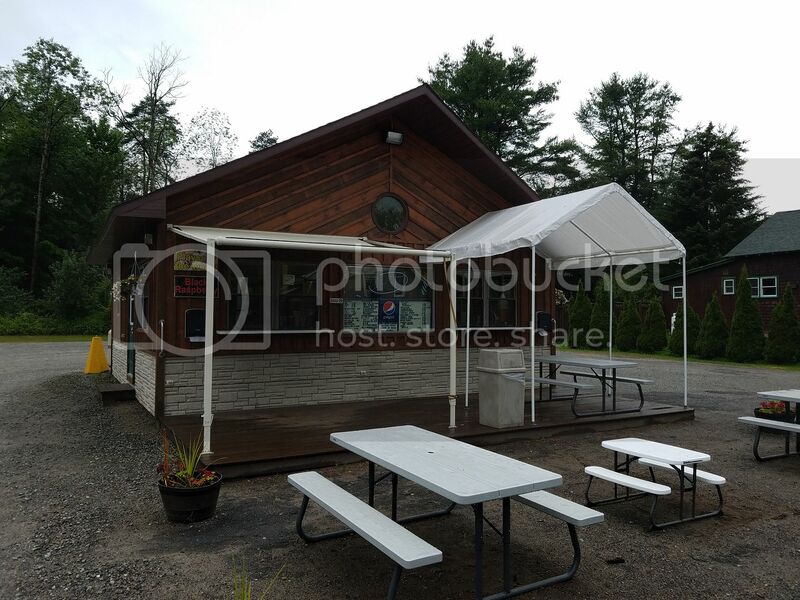 I do feel that the atmosphere there, the Adirondack accents, the live music and communal seating definitely add something to the whole experience. Sundancer7, that is a GREAT story!! I did try a couple of Michigan spots on our trip last year and really did like them but I really became smitten with them on this trip. I think they are just fantastic and each one is slightly different than the others which I think is a good thing. 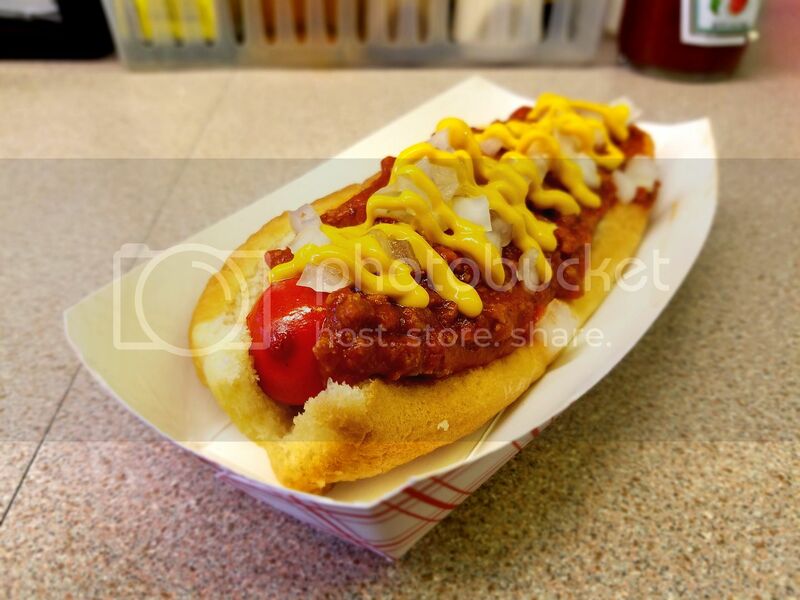 If you're a hot dog/chili dog/coney fan, you'll probably love one more of the Michigans in this region. Hello all, I'm trying to embed a YouTube video at the beginning of this report but not being much of a techie, I am struggling with it. Right now there is a link attached that brings the user to the YouTube page with the video. 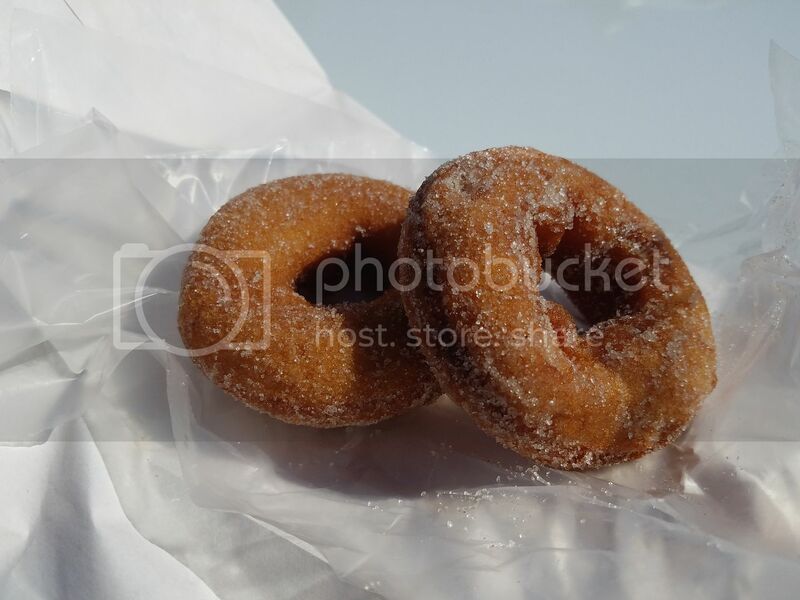 I'd rather have a clickable image on the page that will play the video and keep the viewer here on Roadfood. I've tried using the embed function on YouTube and also the Special PGDCode for YouTube videos here within the Edit function of the Forums, both without any luck. Any advice would be greatly appreciated. Thanks. Try removing the 's' in the https. MilwFoodlovers, I just tried that but no luck. Thanks though! 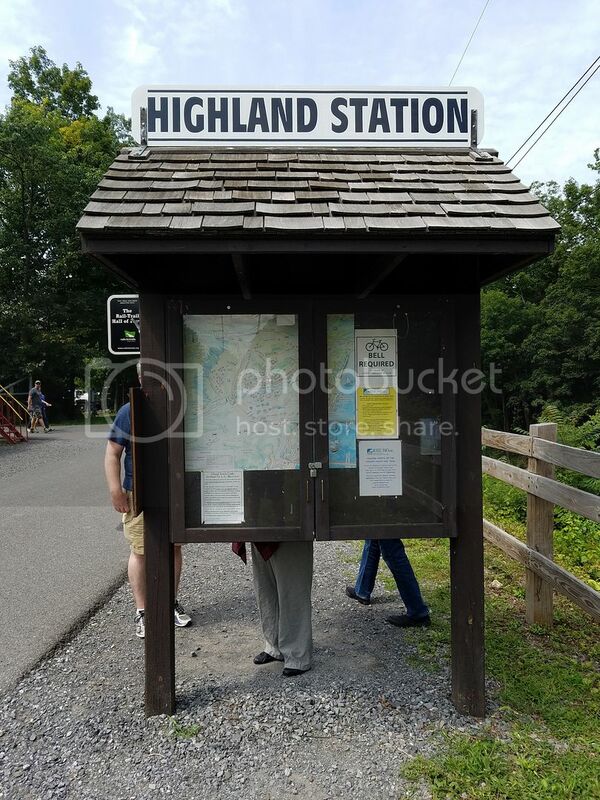 Saturday August 5, 2017 - Day 6 - Our last day in the ADKs! It rained pretty hard last night and was still coming down this morning. We all helped one another pack our cars, said our goodbyes and then went our separate ways. I hope we can rent this place again next summer! I stopped at the local post office in the town of Gabriels to mail out some postcards to friends and decided to pop into the Brighton Mini Mart next door to see if this would be MICHIGAN STOP #9. 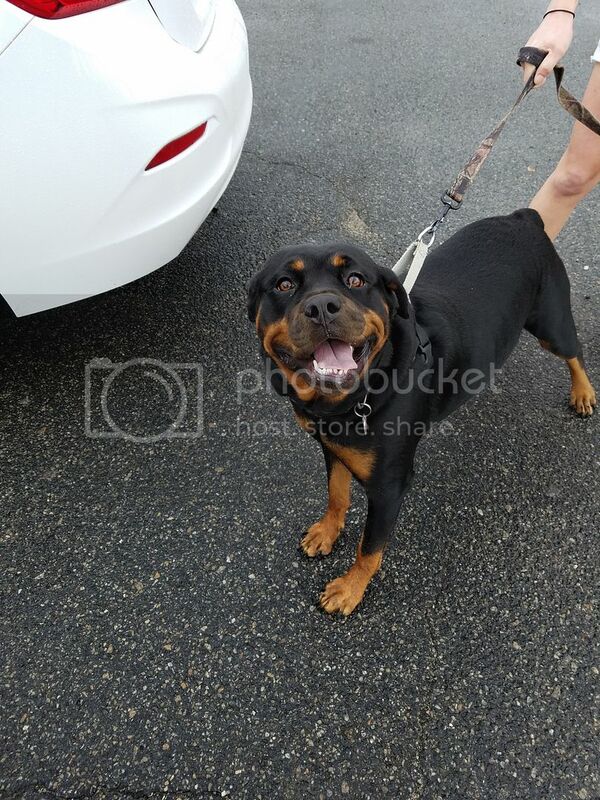 On my way in from the car, I ran into a young woman walking her very happy and attention-starved Rottweiler, Lacy, who was all about the belly rubs! 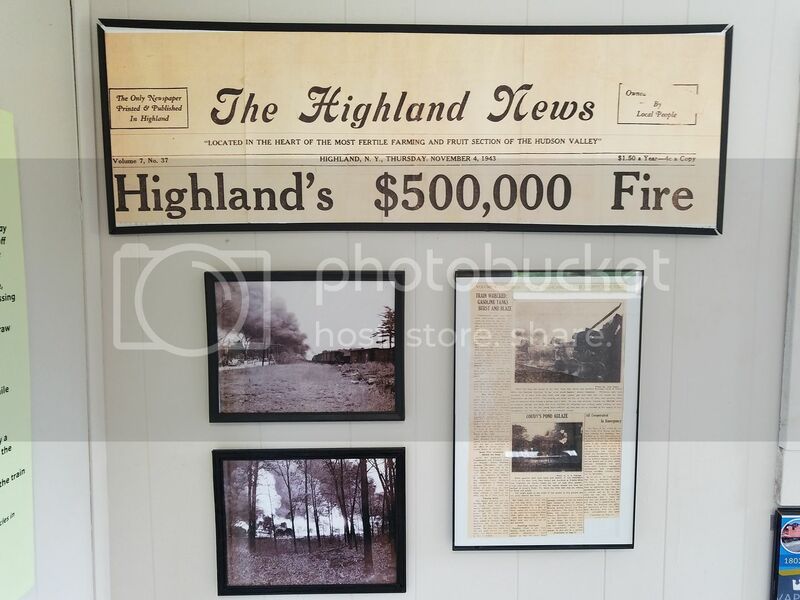 Within the Adirondack Park, there are a few large towns like Saranac Lake, Old Forge and Lake Placid. Peppered between are many, many small places such as Gabriels. The mini mart has a small deli and a few of the camping essentials: charcoal and lighter fluid, marshmallows for s'mores, maps and fishing lures. 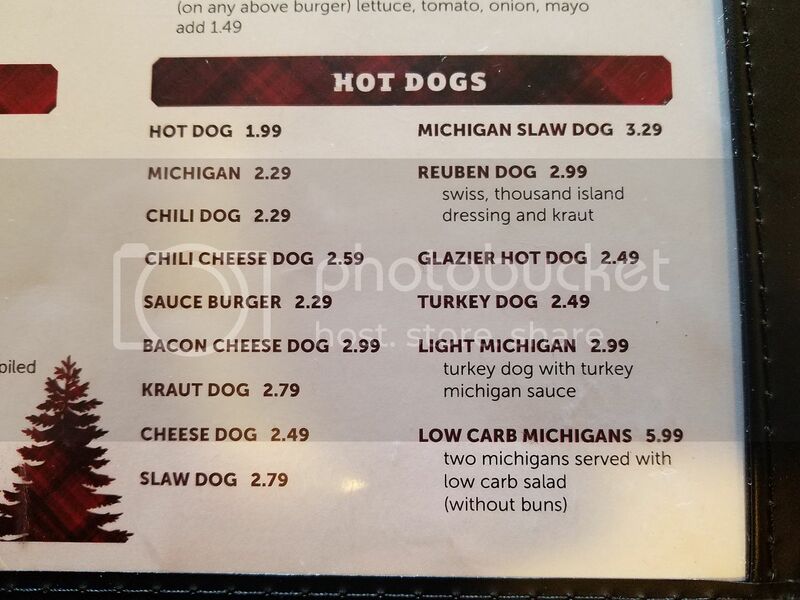 While they do have Michigans on the menu, it was 9:30am and they didn't have any Michigan sauce in stock. 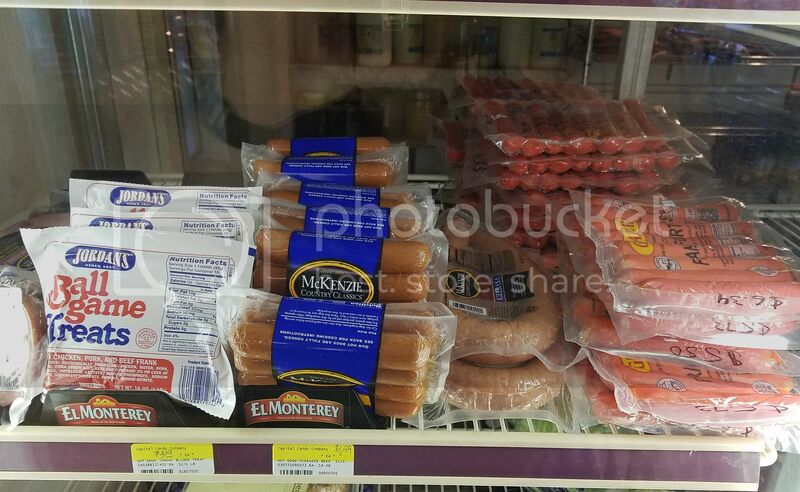 They guy said it was just a frozen hot dog but I don't think that he was a big Michigan fan. I did have a good conversation with him and his right hand man (who was born and raised in Park Slope, Brooklyn!). I'll have to come back to check our what a mini mart Michigan tastes like. They do carry Glaziers and McKenzie brands. 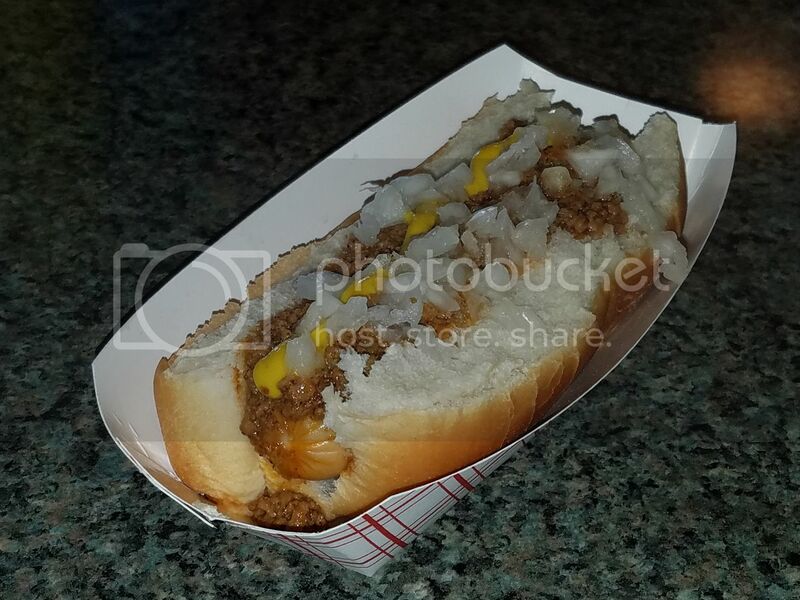 I've heard from a couple of locals that the Massachusetts-based McKenzie makes for a good dog. MICHIGAN STOP #10 was Teddy's Ice Cream and Grille LLC in Bloomingdale. 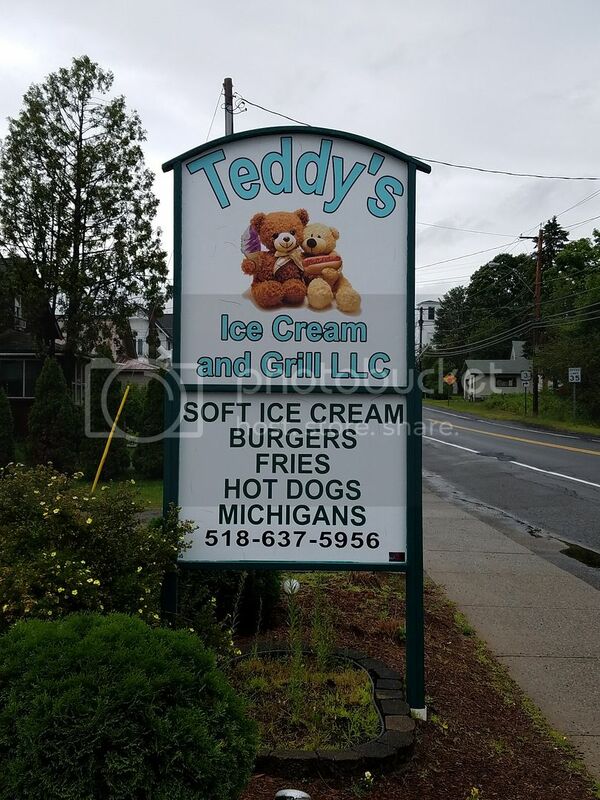 A number of very nice people I spoke to on this trip recommended Teddy's and it was just a short drive from where we were staying. Love it when I see "Michigans" on the sign out in front! Unfortunately, I was "Michigan-blocked" and Travelin' Manned again as I had arrived 45 minutes before opening and I had a schedule to keep. Doh! Glaziers? Michigans? Butterscotch sundaes? Oh, I'll be back! I don't think that I've ever seen a car this small before. As I was taking photos, the owner came out and gave me some decals with his business' logo on them. We talked about my Michigan quest for a few minutes. Nice guy. 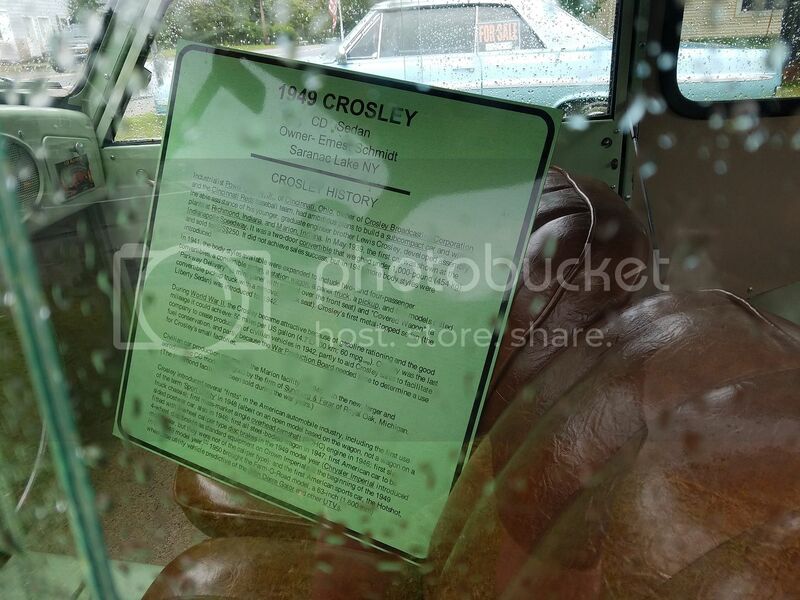 Some history on this car. You may need to zoom in on the photo to read it. 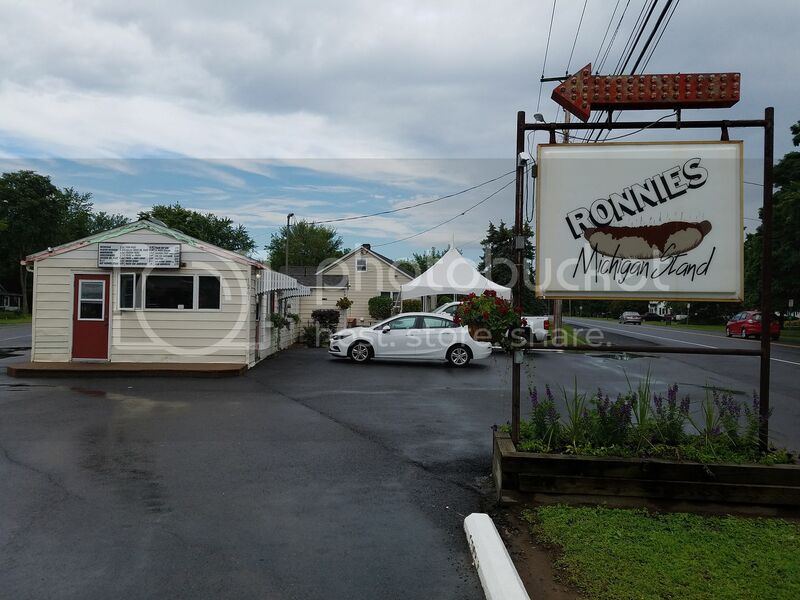 MICHIGAN STOP #11 was at Ronnies Michigan Stand in Morrisonville, just west of Plattsburgh. A long-time institution in the area since 1959. When I pulled up, a young girl came out to take my order. 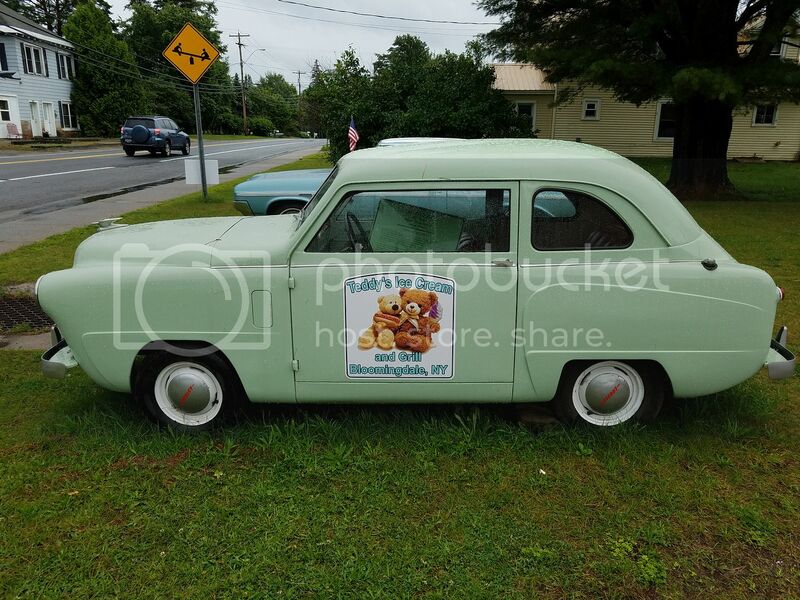 Wow, I came upon another car hop! I told her I'd come inside to eat. I didn't grow up with car hops and the thought of spilling food on myself and on my rental car just didn't appeal to me. There is part of me that is intrigued by them but as a 46-year old I think, "Wow, that stain will never come out!". Love the interior and I can watch them working at the flat-top. The standard dogs are cooked in an electric pan, covered with a glass lid so I could watch them steaming away. I ordered a Glazier Michigan and they cooked it on the flat-top, squirted some water over it from a bottle and covered it with a metal lid. Love a griddle steamed dog. 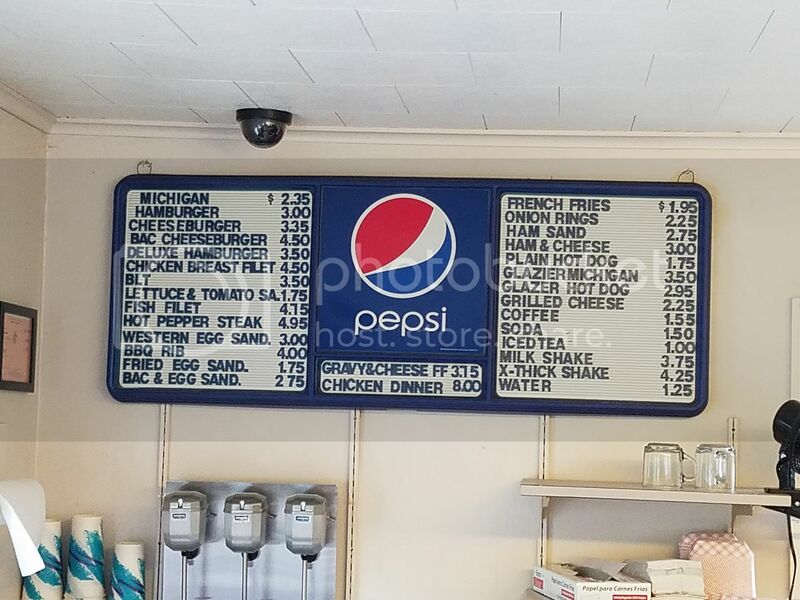 This menu reminds me very much of the one at my beloved Voss ' BAR B Q in Yorkville, NY. The woman working flat-top was kind enough to pose for this shot! 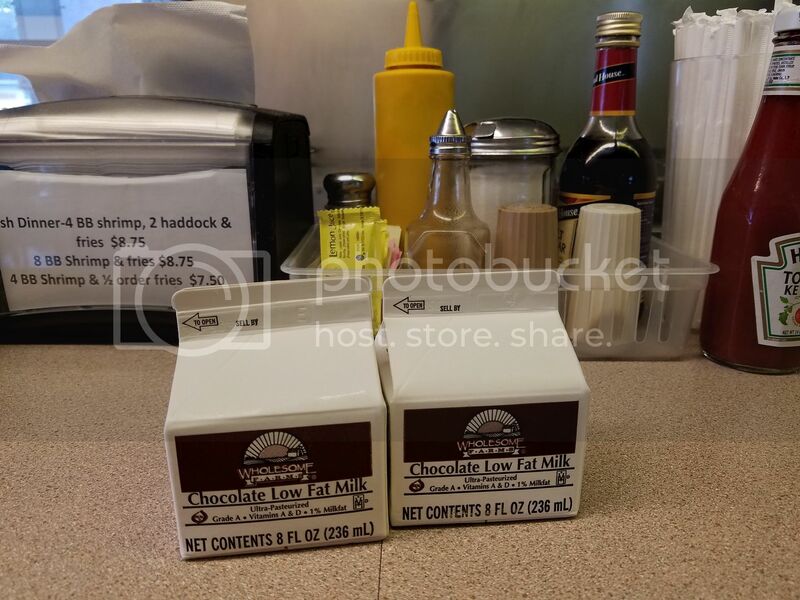 These little chocolate milk containers brought me right back to the cafeteria in 4th grade. I could swear this milk tasted just like liquefied chocolate Jell-O pudding. So good. This was an excellent Michigan. My second Glazier dog of the mission and almost too pretty to eat. Almost... Soft bun, plenty of onions and mustard. I was a bit confused at first when the counter girl asked if I wanted it "with or without" (onions). Their homemade sauce is a tomatoey, saucy, slightly sweet version that is chunkier with the beef than most. It was tasty from the get go and just became more addictive with each bite. 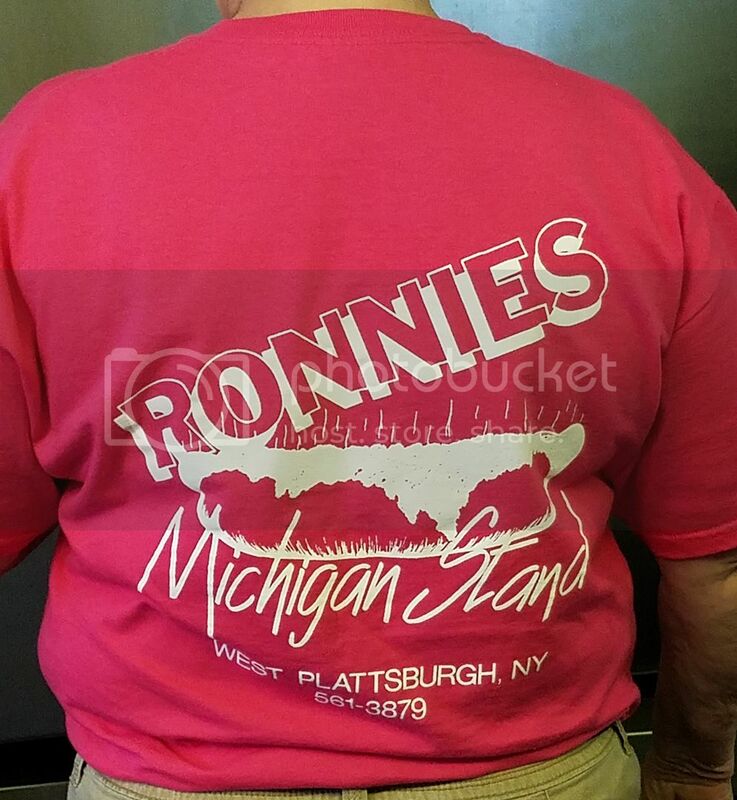 One of the ladies behind the counter suggested to another that they get an "action" shot of me and my Michigan. I think they captured the moment perfectly. 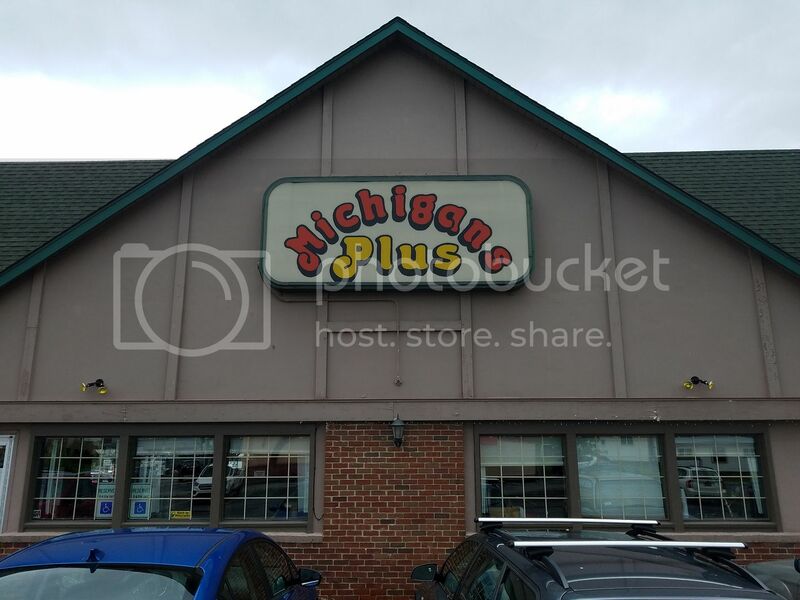 The penultimate place on this mission was Michigans Plus aka MICHIGAN STOP #12. I think that this may have been an IHOP in a previous life. 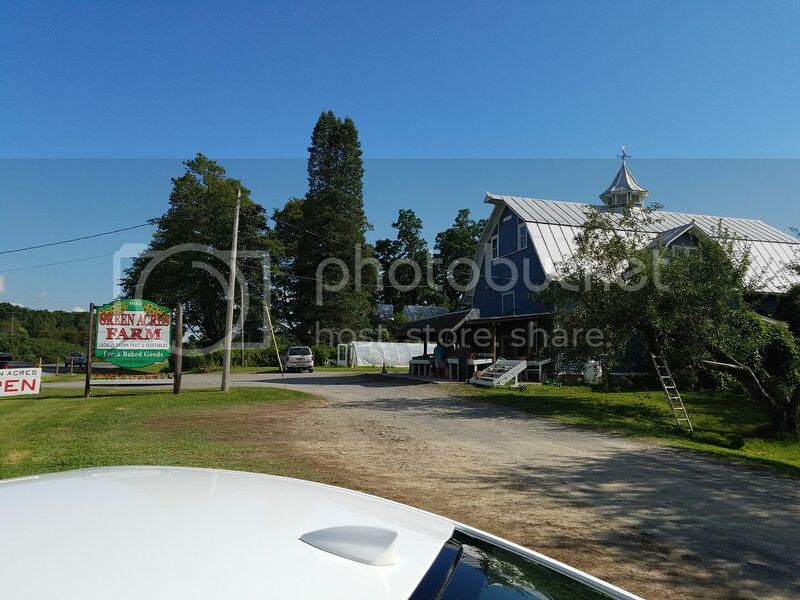 I had found this place online while conducting a Google search of the Plattsburgh area. 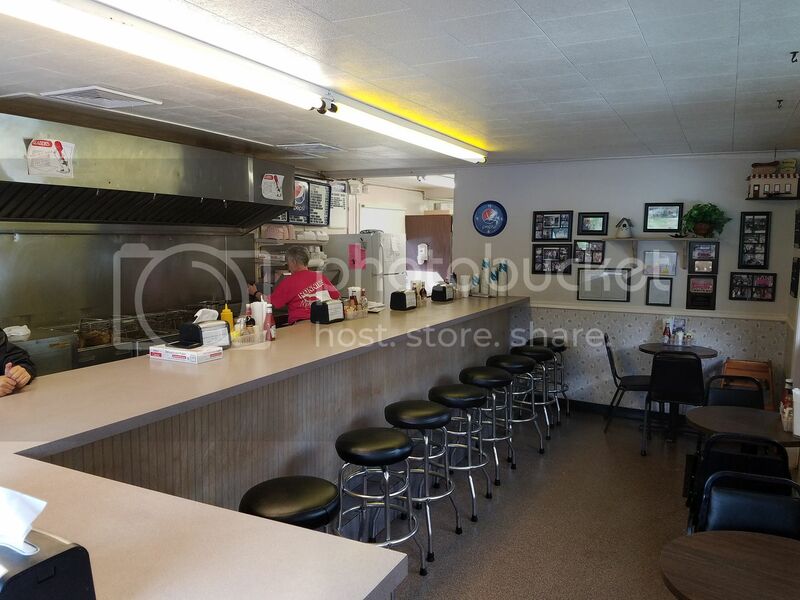 They serve a full breakfast, lunch and dinner menu and offer booths as well as counter seating. There appeared to be a number of locals in attendance and the manager asked one of the guys near me the counter if he could fix an old fashioned sled for her. While I'm definitely a roadside shack kinda guy, I liked the feel of this place though it was a bit dark inside and I struggled to get good pictures. 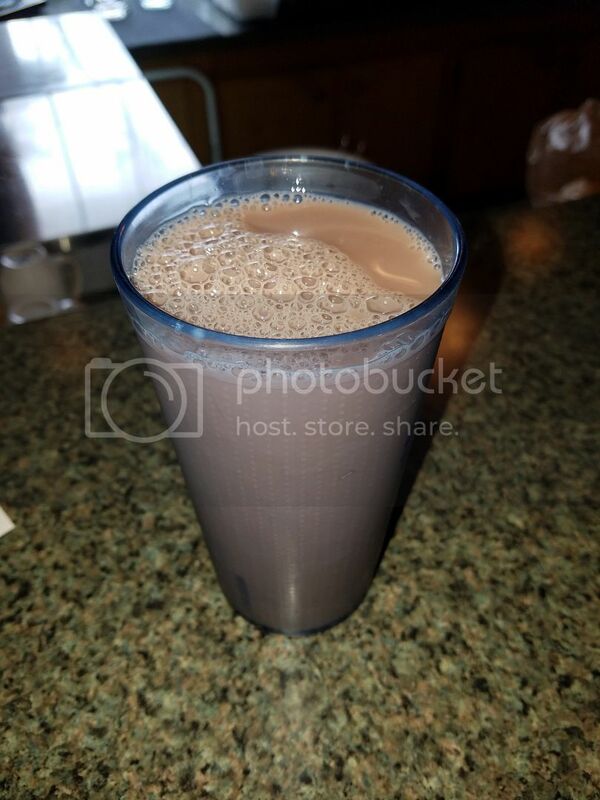 A glass of chocolate milk to wash down my tasty meal. The menu lists these as Homemade Fries and while they were definitely homemade, the taste and texture were off. 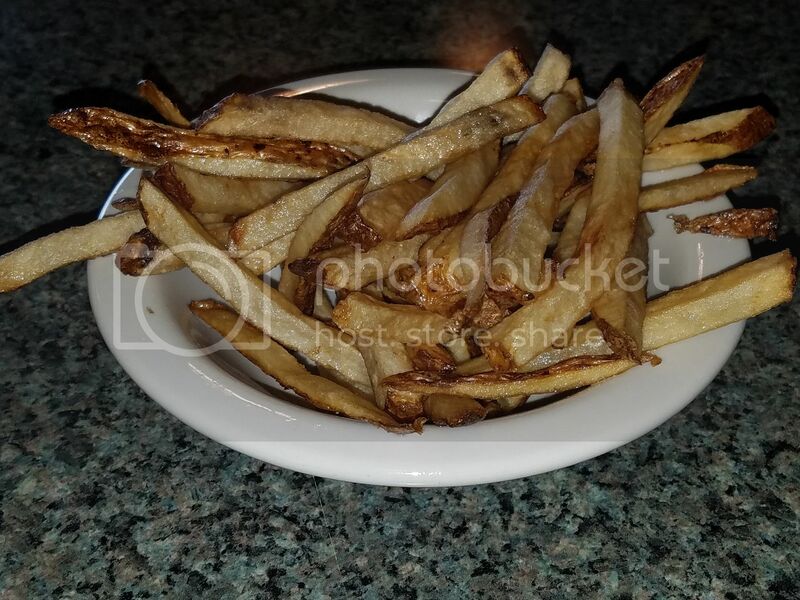 It seemed like the frying oil may have been overdue for a change as it overpowered the fries and they were chewy (not in a good way), which is a word I never thought I would use to describe French fries. This was definitely a classic Michigan. Soft, pillowy roll and good amount of sauce, which was a fine grind and had a spicy kick that built up slowly and lingered on the lips. 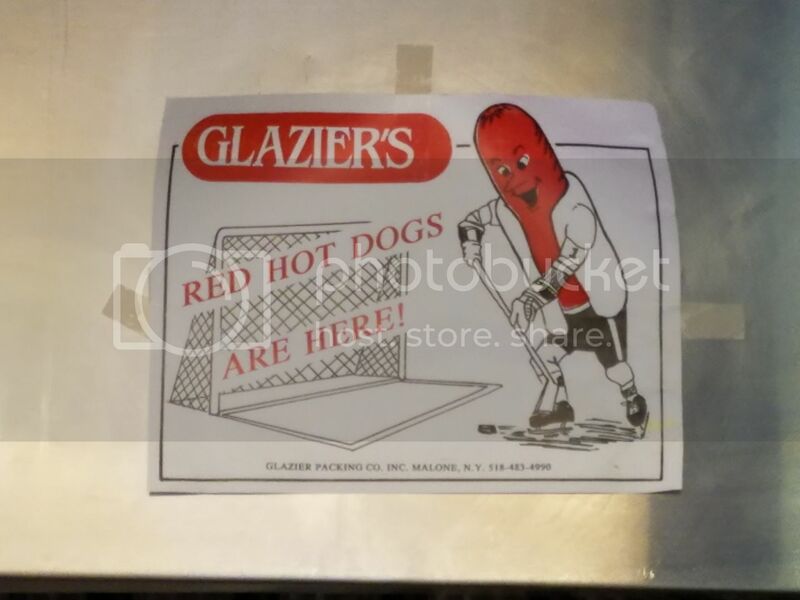 The manager told me they use a McKenzie's hot dog, which I believe is made in Massachusetts. This dog had a snap to it and the Michigan sauce complemented it nicely. This should definitely be a stop on any tour of Michigan spots. My final Michigan on this trip and my last of the Big Three (along with Clare & Carl's and McSweeney's). Having been so close and yet so far just mere days ago, I was glad to finally make it to MICHIGAN STOP #13, Gus' Red Hots in Plattsburgh. 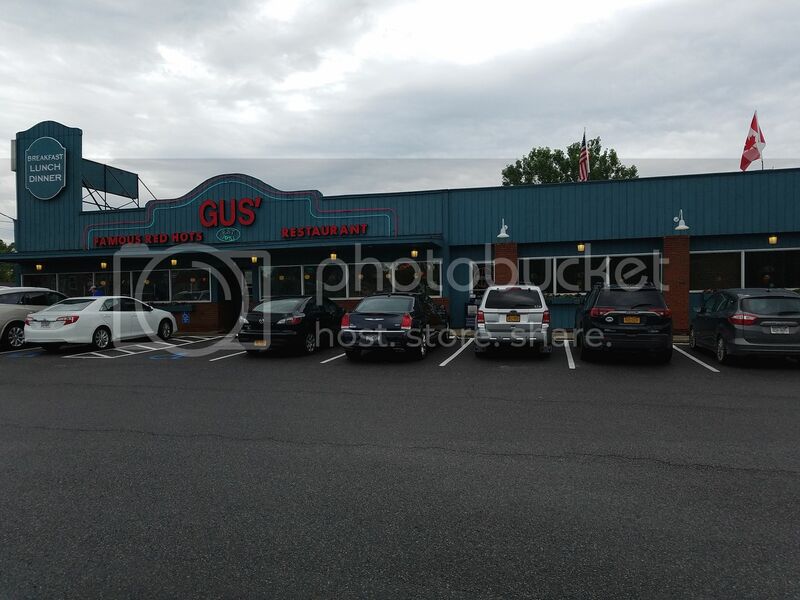 Gus' is a full-service restaurant and the guys cooking look like they have been on the line for a while. There were two guys with the cooks who I'm guessing were the owners who were overseeing each order that went out. That's dedication! 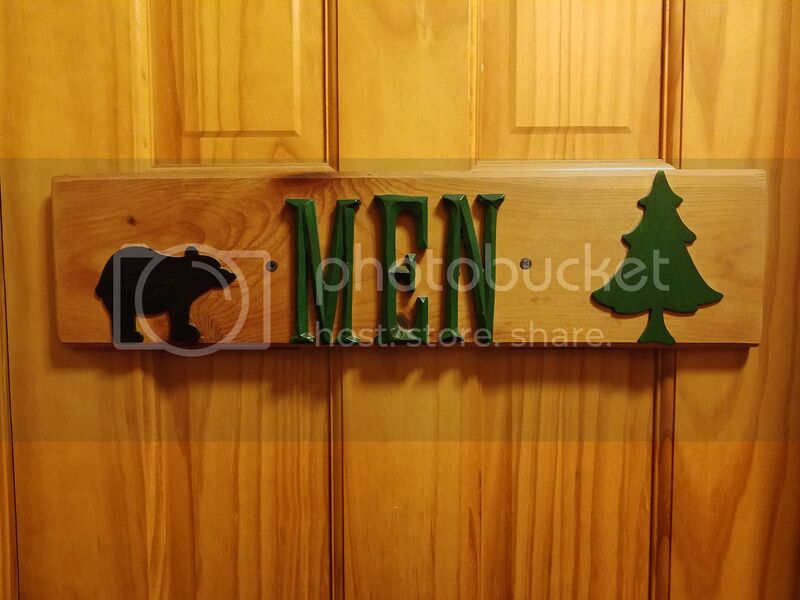 Most of the loos in the region have an Adirondack theme on the door (and possibly inside). They were many photos of the different looks that Gus' has sported over the years. This one is my favorite. Glazier Michigan with everything is the way to go for me. 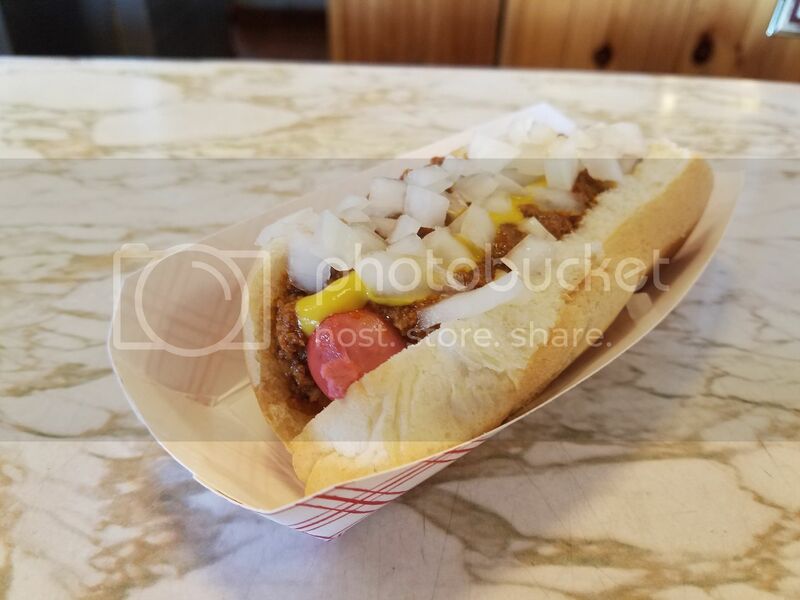 Another winner consisting of a pillowy steamed bun, snappy Glazier hot dog, a smooth, fine-ground meat sauce with a nice lip-tingling heat and topped with a perfect amount of yellow mustard and rough chopped raw onions. I'd return in a heatbeat. A few days before the completion of my Michigan Mission, I reached out to Mike & Dana, my Roadfood compatriots, to see if they might welcome a weary traveler for the night. They were more than happy to do so at their abode just outside of Poughkeepsie, NY. 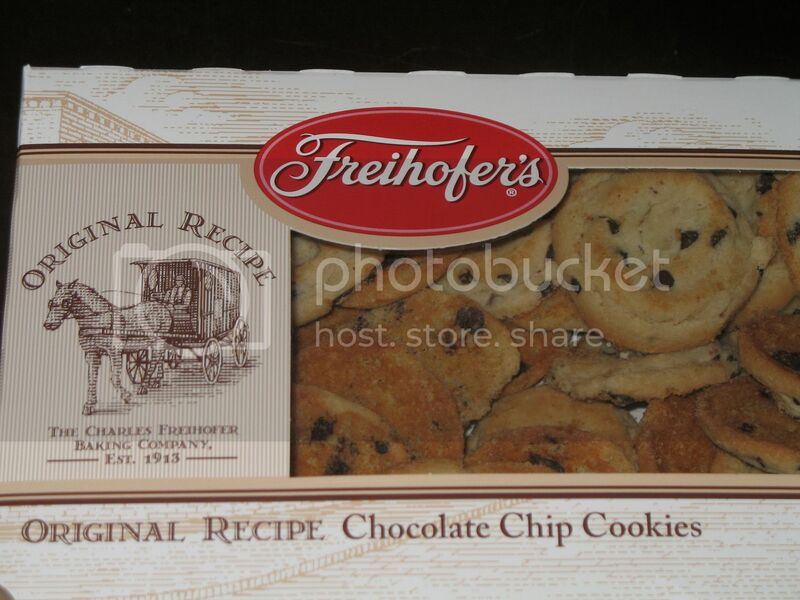 Not wanting to arrive empty-handed, I brought them some boxes of Freihofer's chocolate chip cookies I picked up at the Stewart's Shop in Tupper Lake. and ominously cloudy but it really was a gorgeous day. 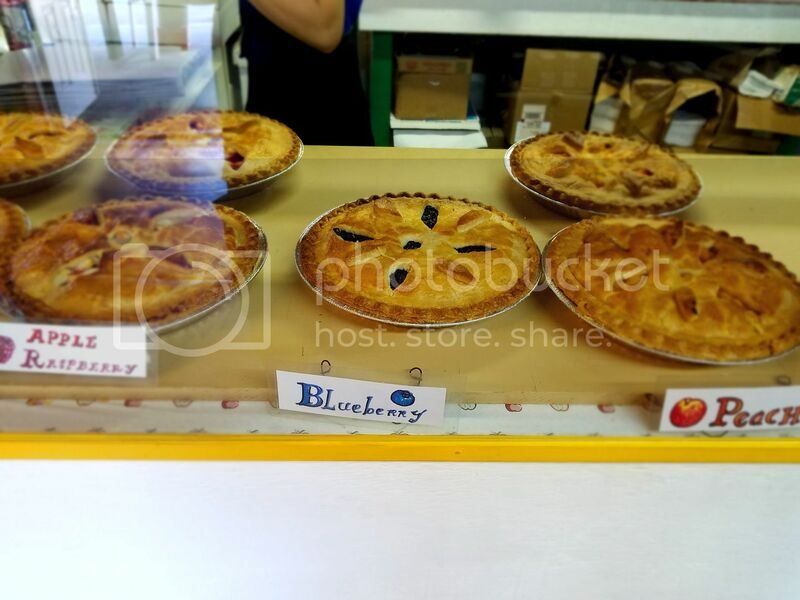 PIES!! I had some of that Apple Raspberry a couple of weeks before and it is right near the top for me. Just amazing. The Pecan is quite good too but I'm here for the Cherry. 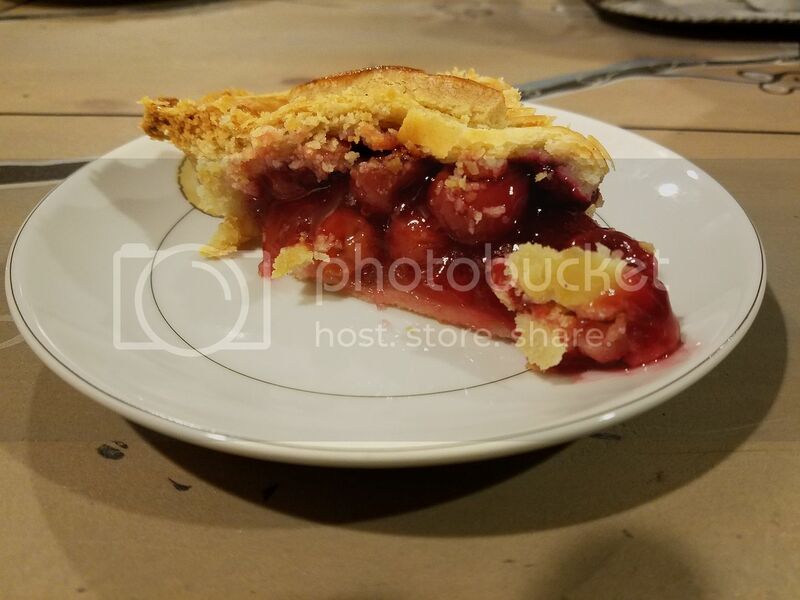 Look at those cherries just bursting through the crust. 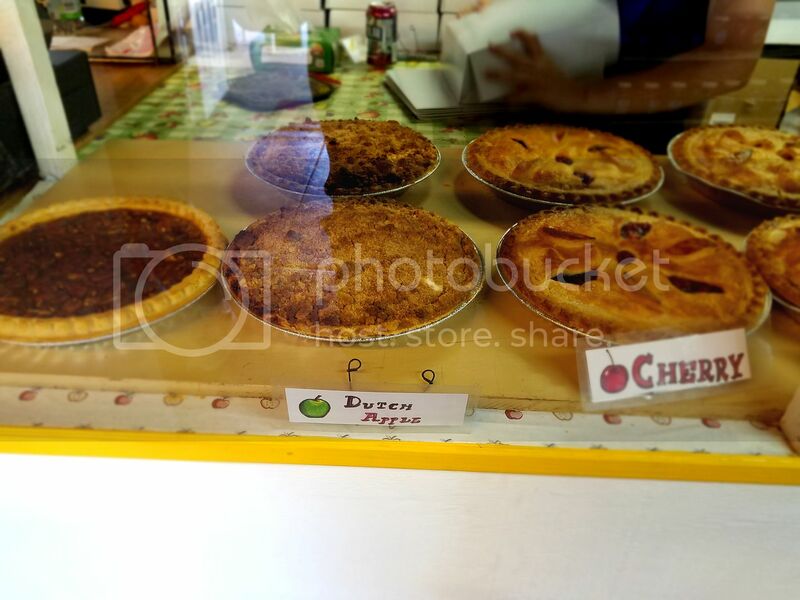 And Dayna's favorite Double Crust Apple. 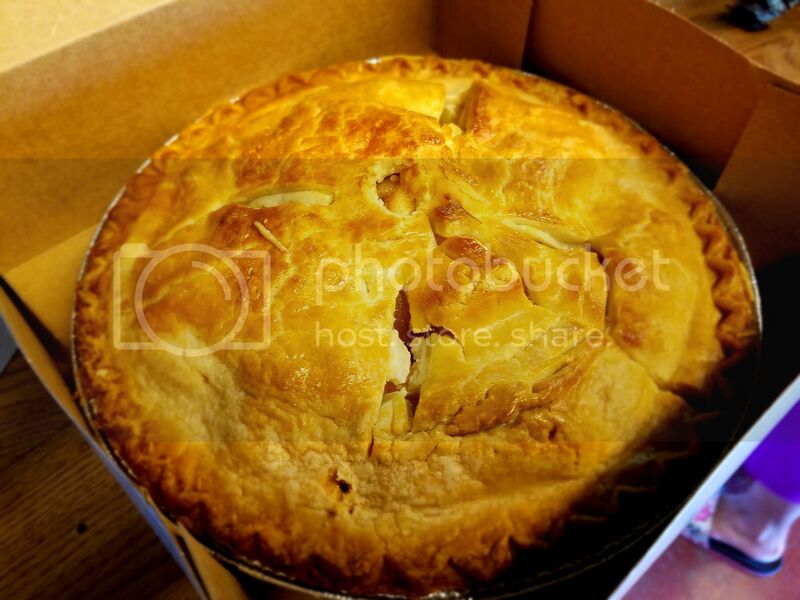 Once again, I secured a pair of pies that had just come out of the oven, so I had to drive another30 minutes to Mike & Dana's with the boxes open so they could properly cool off. Torture, sheer torture, I tells ya! 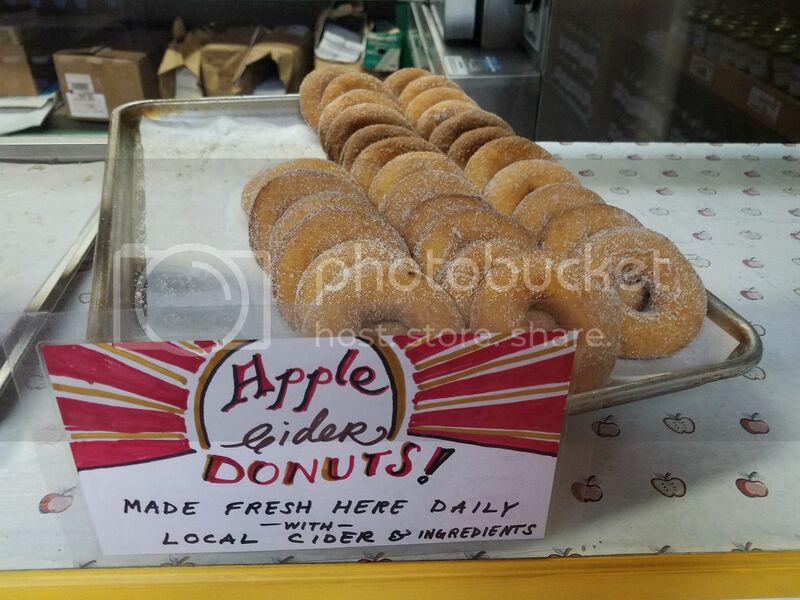 And no visit would be complete without some of their awesome Apple Cider Donuts. These never even saw the inside of the car. Greedily consumed with only the car trunk as a witness to the crime. I got a little lost on my way to their apartment but upon arriving we were very happy to see one another. Mike & Dana had joined us on the Western MA Roadfood Meet-Up in 2009 and on the New England Meet-Up in New Haven in the fall of 2014. 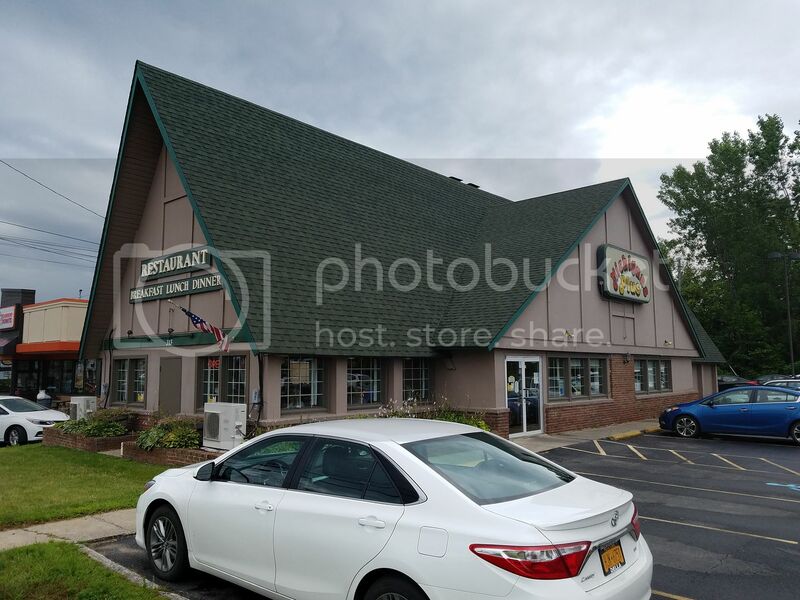 The last time we got together was for an early supper at the Roadfood-reviewed West Tagkhanic Diner in Ancram, NY when we were heading up for vacation last year. 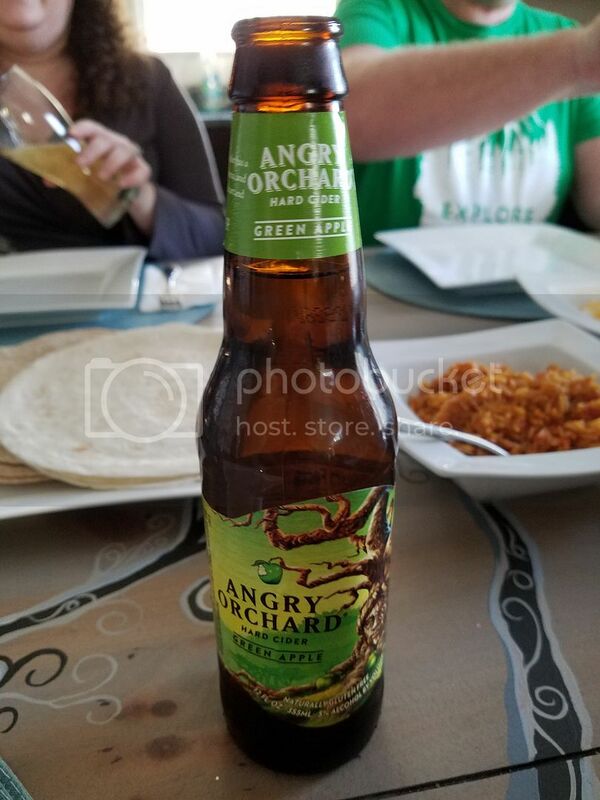 They had prepared a most excellent supper of slow cooked carnitas with black beans & rice and even had some locally made Angry Orchard Hard Cider (made in Walden, NY) on hand. You'd be so happy, Wanderingjew! 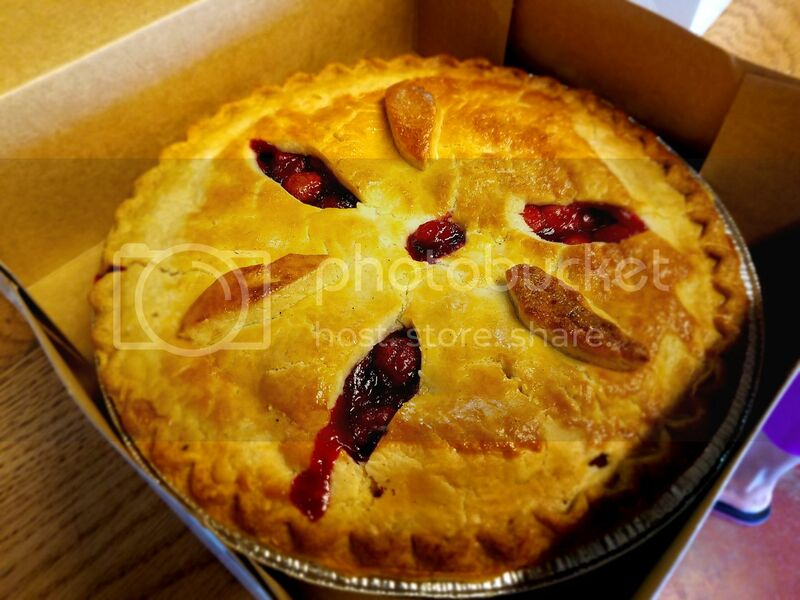 A better shot of that Cherry pie. They decided to break into the pie for dessert and who was I to refuse a slice? Wowzers! The Peach is still my #1 but this is a very close second. 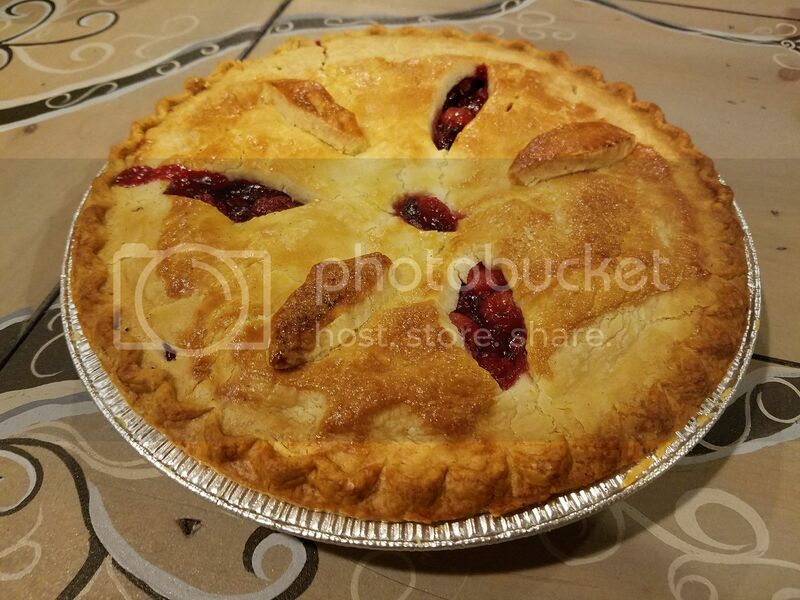 Tart/sweet cherries and a buttery, flaky crust? Pie perfection. When we return...One more day with some cool finds in the Poughkeepsie/New Paltz area, some note on the trip and my Michigan Round-Up. Don't touch that dial! 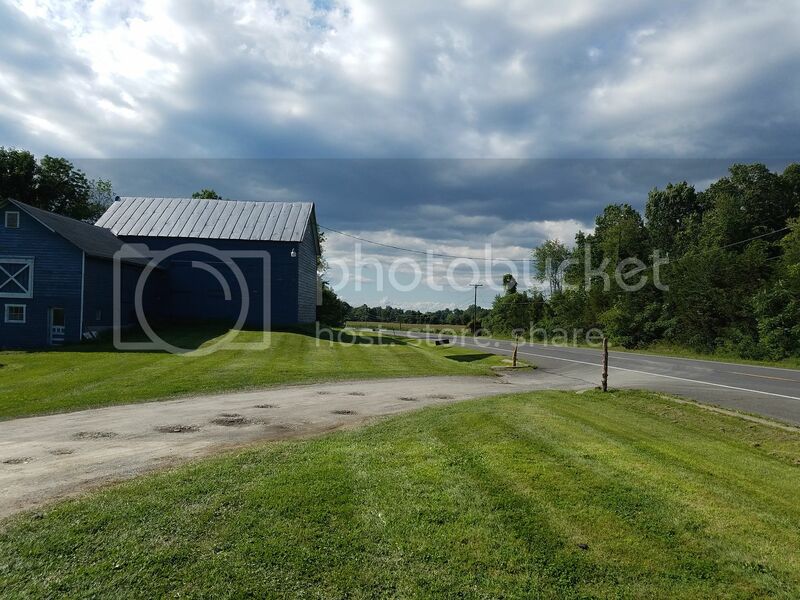 5 Commodore Thomas MacDonough Hwy. 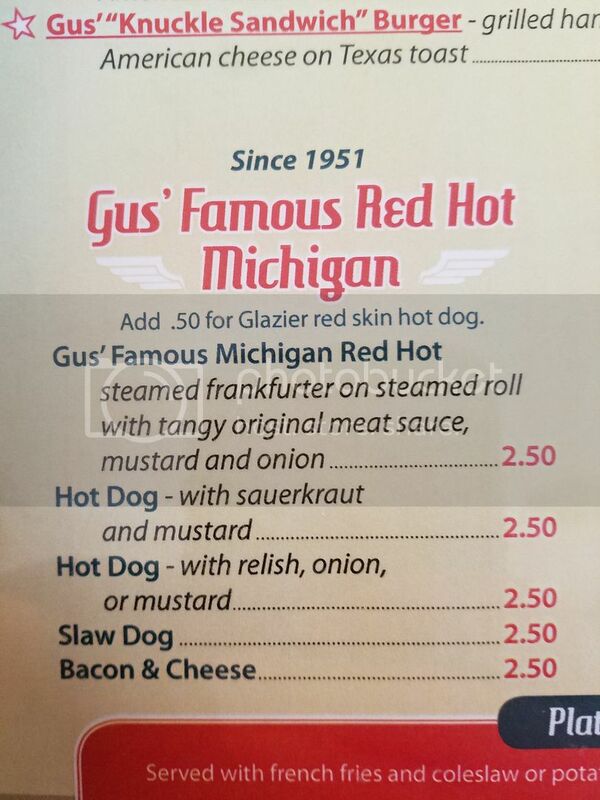 What differentiates the Glazier Hot Dog so much that it deserves a specific mention on the menu as opposed to any other Michigan? Is it just a preferred brand name, like Vienna in Chicago, or does it go beyond that? We slept in for a bit and then headed out of breakfast but were Travelin' Manned at the local bagel shop which should ave been open when we arrived. 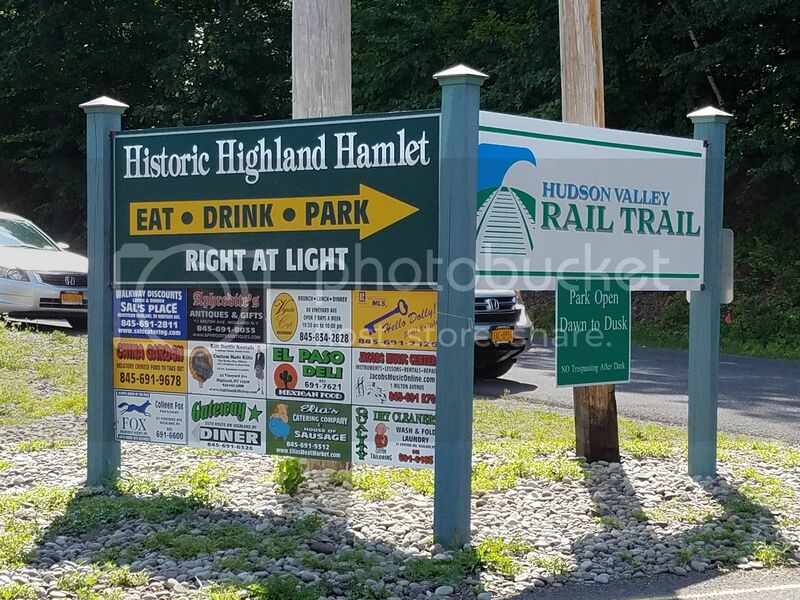 Instead, we opted to take a long walk on the Hudson Valley Rail Trail when is undergoing some renovation including the installation of a new welcome center. 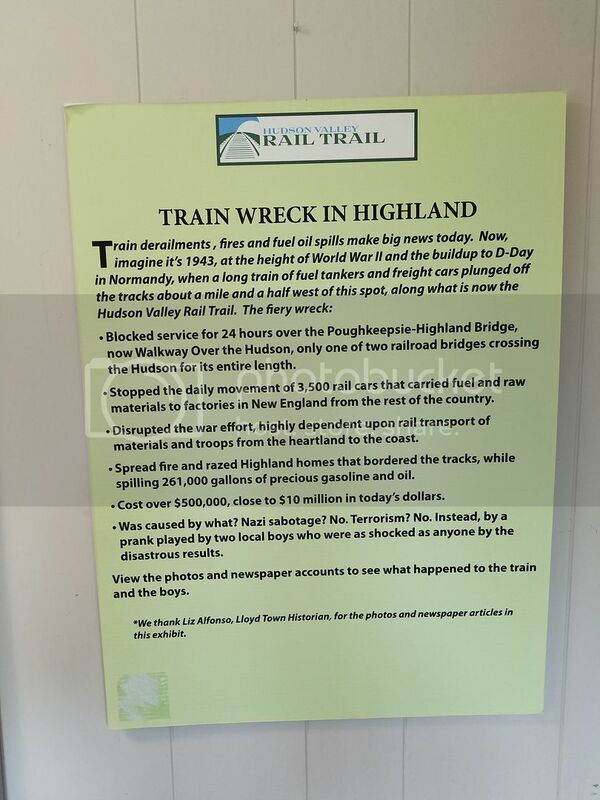 This was at our entrance point to the trail (there are a few points of entry) and I made a note to check it out before we left. 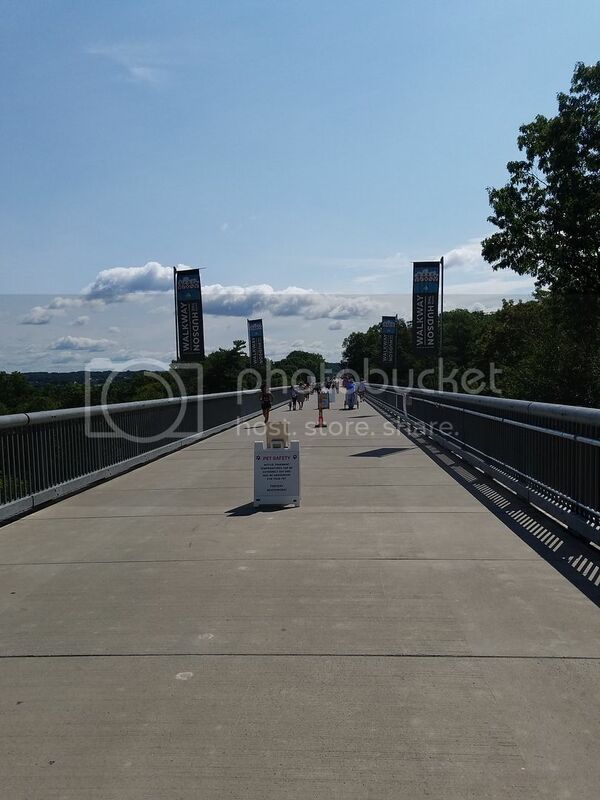 A really lovely trail that goes over the Hudson River via the Poughkeepsie Bridge. Lots of walkers, vendors and volunteers out letting people know about the different events going on. 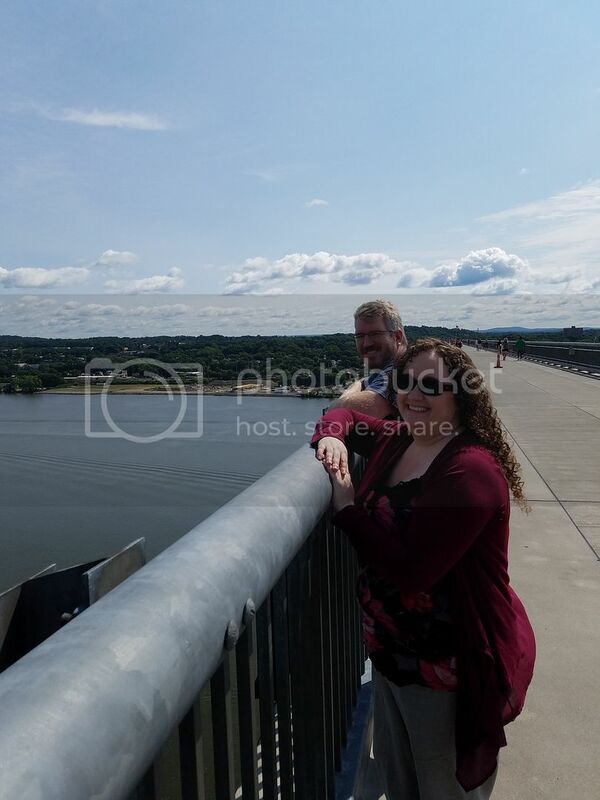 Mike & Dana said they put on a pretty spectacular July 4th event with barges setting of fireworks in the river and this bridge makes for a perfect spot to view them. They also have movie nights along the bridge in the summer and fall. 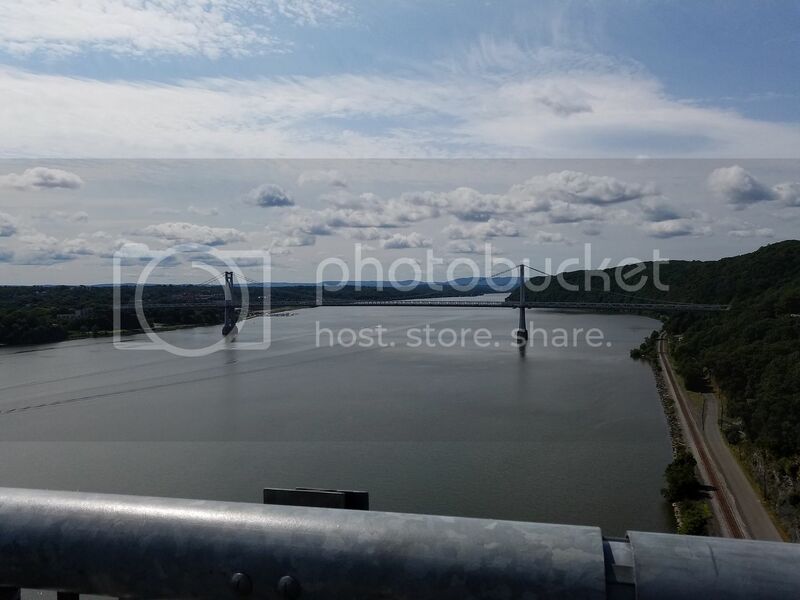 The Mid-Hudson Bridge to the south. To the north is Marist College, the Culinary Institute of America (the "CIA") and Hyde Park, the home of Franklin Delano Roosevelt. My wonderful hosts, Mike & Dana. Thanks so much for a wonderful time. I always love seeing you two! A place to take a rest, look at the map and figure out the next move. 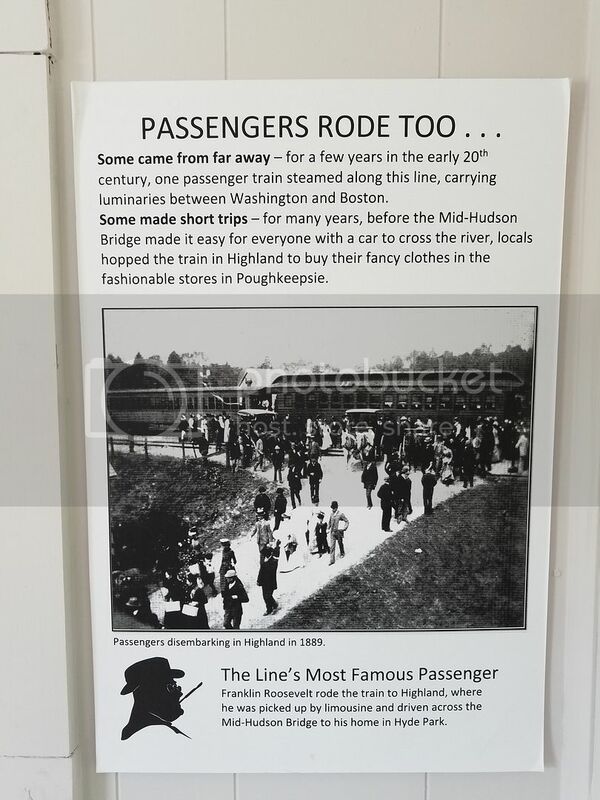 The rail goes on for a few miles and leads right into Poughkeepsie. Lots to do and see. Back to the caboose. 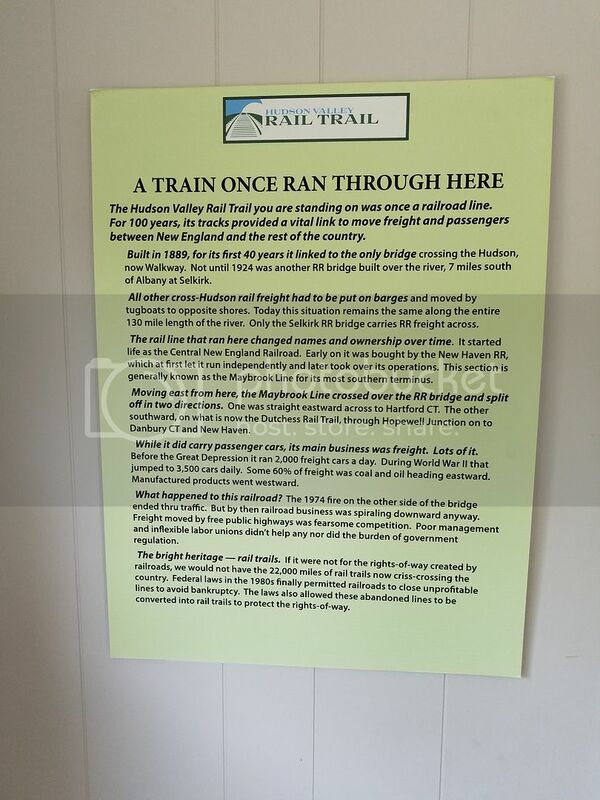 The rail line ran from 1889 to 1982 and while it hasn't run in man years, it certainly has an interesting history. 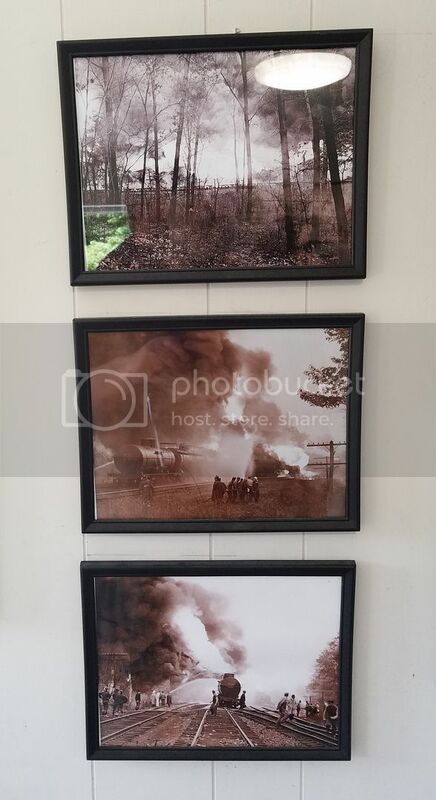 Two local boys piled some rocks on the tracks in 1943, causing fuel tankers and freight cars to plunge off of the tracks and sparking a massive fire. 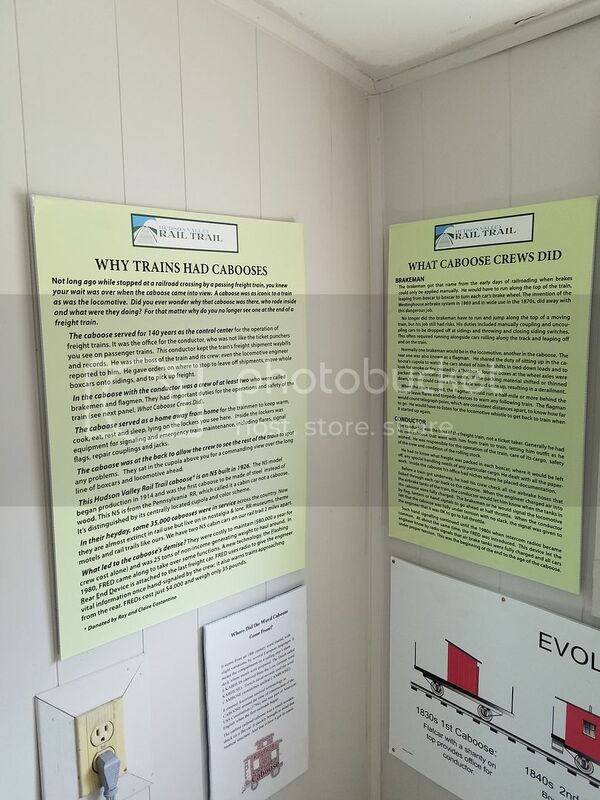 At the height of WWII, the crash had many people on edge until the cause was determined. 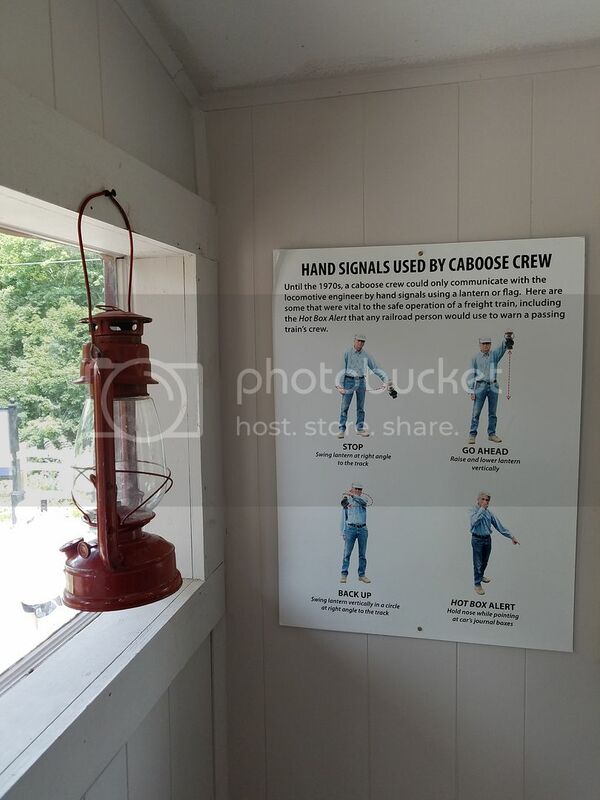 One of the volunteers said that a caboose crewman would sit up top and signal to the engineer if he had spotted any problems. 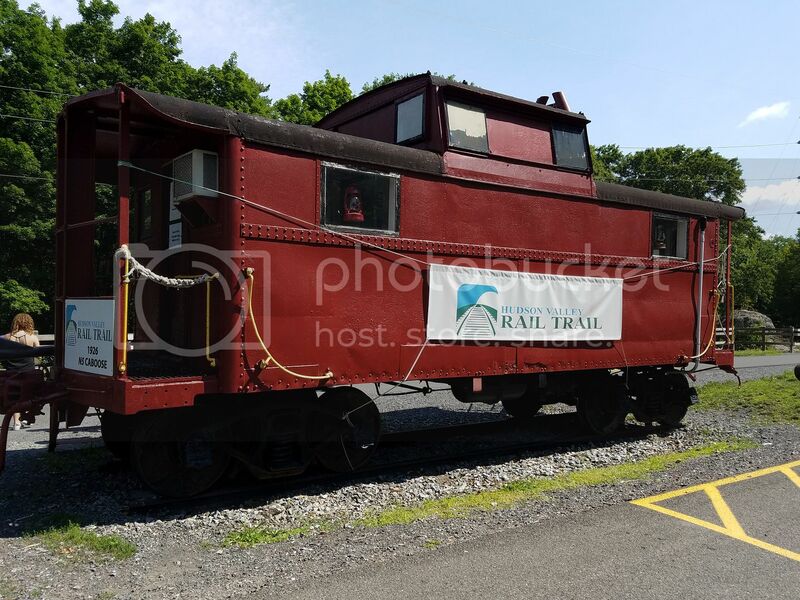 I think The Mayor (Al Bowen) would have liked this caboose. We had time for lunch before I had to head back to NYC so we drove to the SUNY New Paltz campus and took quick tour by car of the school where Dana works. 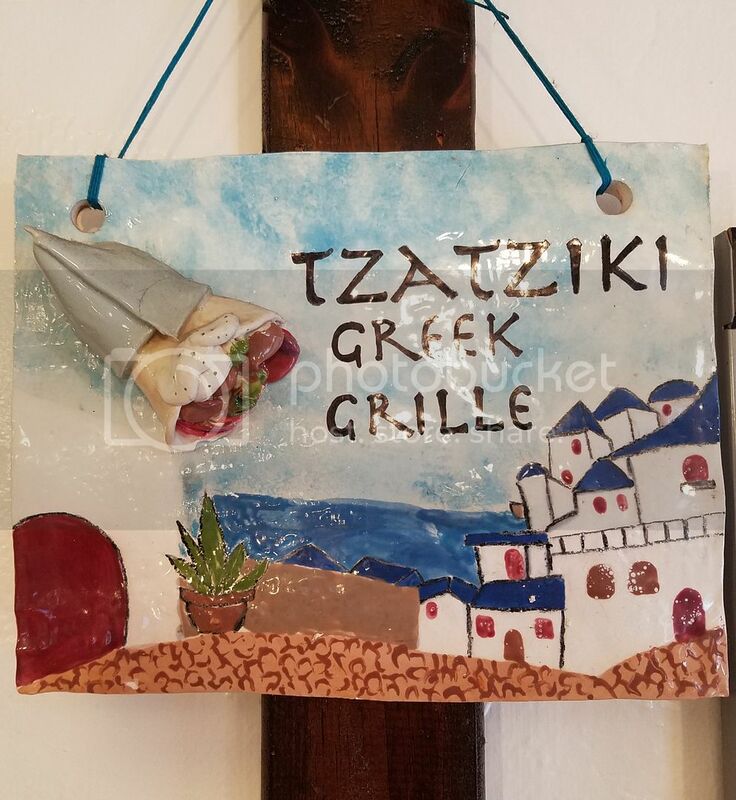 We walked down to Main Street and into the Tzatziki Greek Grille. 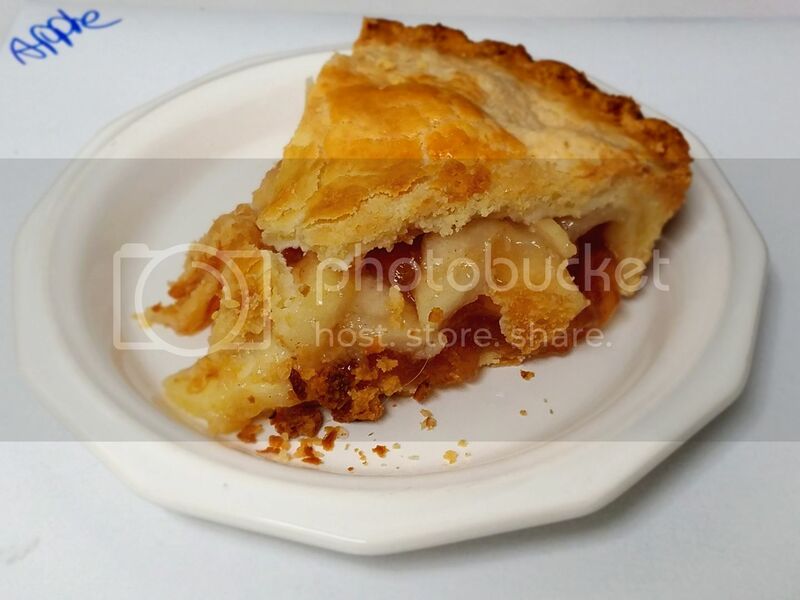 Naturally, I had to end this report with a slice of that double crust apple pie brought back for Dayna. Just as good as I remember. I think that I can bake a decent apple pie but if I could make this one, I'd rule the world!! HAHAHA!! I had such fun and adventure on this trip. 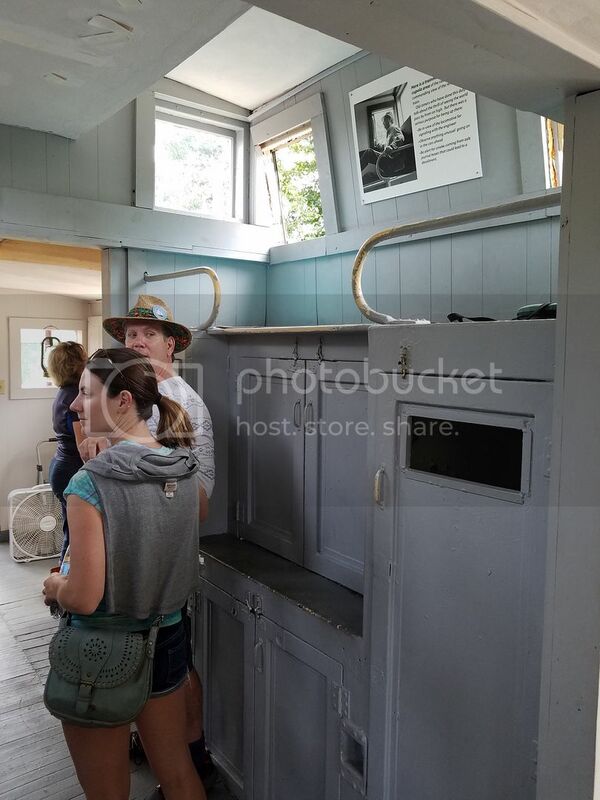 Spending quality time with my family, seeing old friends, fresh air, hiking, lots of homemade pies, maple syrup, locals who were happy to give out directions and good advice, visiting a tuberculosis museum (who would ever thought that THAT would be a thing?) and seeing the world from high atop chasms and mountains. Much thanks to Chuck D'Imperio, whose book, "A Taste of Upstate New York", was indispensable to me on my journey. 13 stops, 10 Michigans tried. Honestly, there wasn't a one in the bunch that I didn't like. I really became enamored with them on this mission and in my research for next year's trip, I've uncovered about 20 more places to investigate. 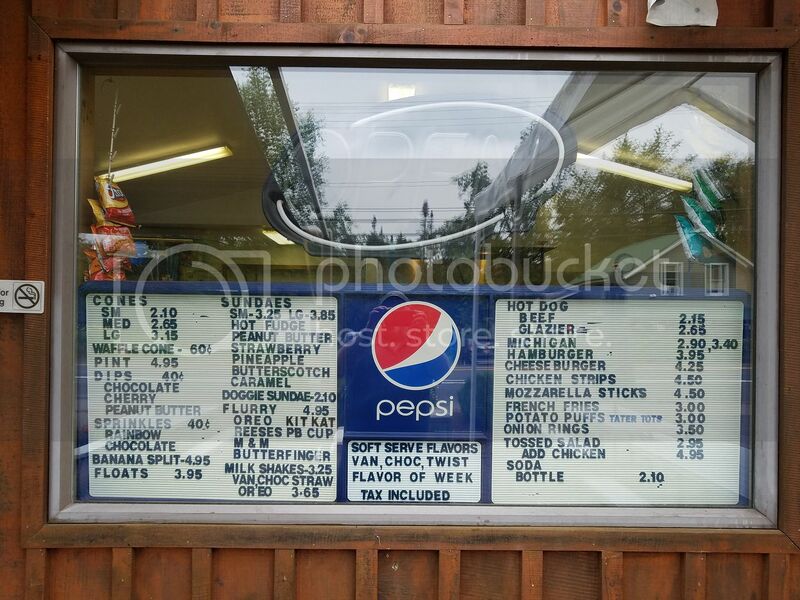 I discovered that Michigans can be found at roadside hot dog stands, ice cream/grill stands (and it is these places that are usually seasonal from Memorial Day to Labor Day, generally speaking), diners, full-service sit down restaurants, roadside hot dog carts, convenience store/gas stations, delis, car hops, mini marts, snack bars and drive-ins. 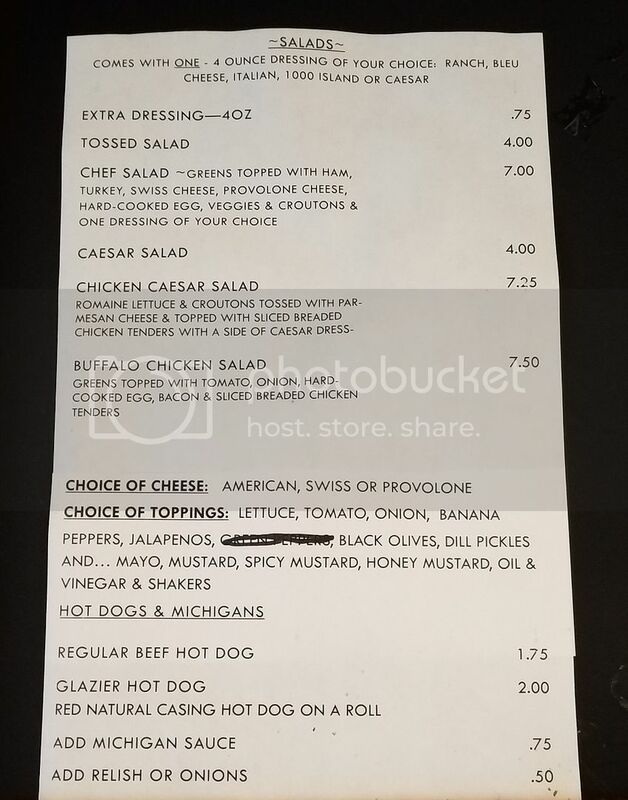 I really want to give a HUGE thank you and Jane & Michael Stern, without whom I probably never would have known that Michigan-style hot dogs even existed. 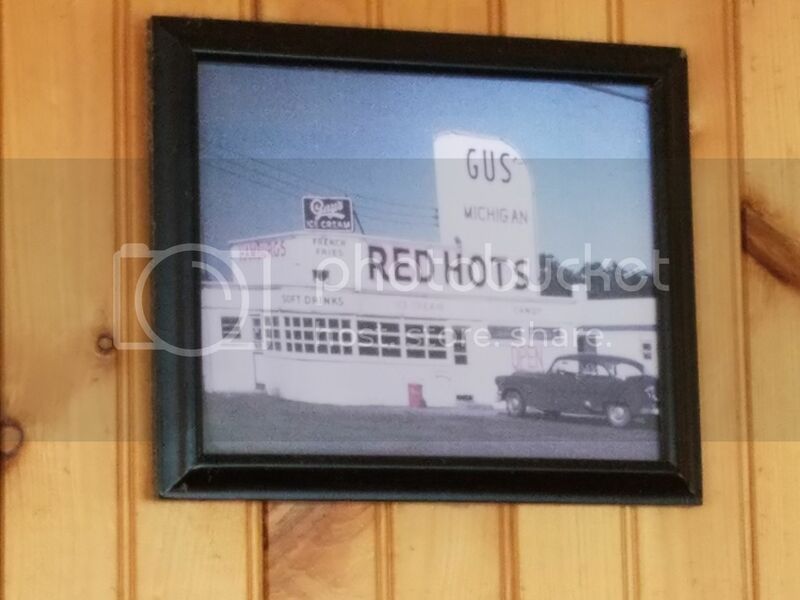 The reviews and pictures of Clare & Carl's, McSweeney's and Gus' have been branded on my brain for years because of Roadfood and when I had the chance to know their unique taste for myself, I took the idea of a "Michigan" Impossible quest and ran with it. I stand on your shoulders! Buddy, I just realized that I never answered your question. I honestly don't know as I didn't grow up eating them. I'm still working on being more like Buffetbuster and getting people to tell me their back story and that of the local foods. Glazier is a local brand, made in nearby Malone, NY (about 10 miles from the Canadian border...REALLY in the North Country!). 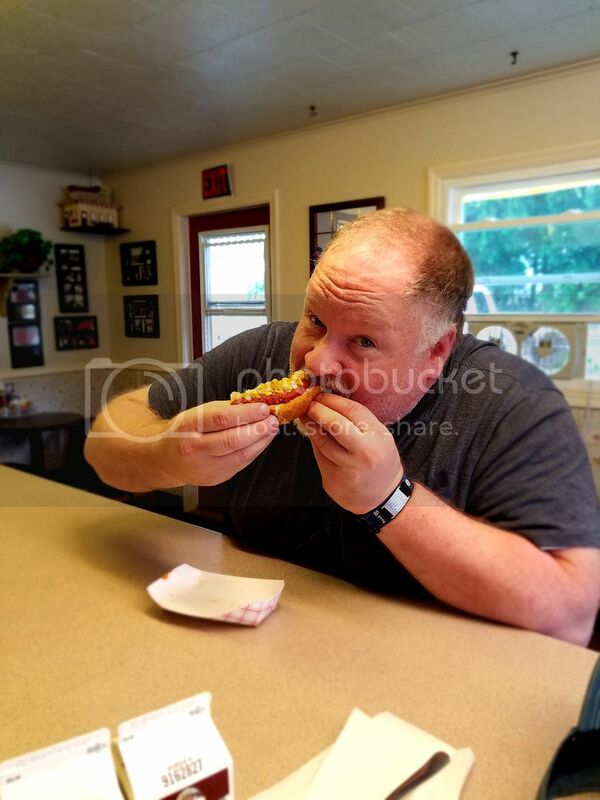 I think they have been around for a few generations and I think a big part of the appeal is buying local and also the tradition of having the same hot dog that Grandpa grilled in the backyard and Dad had when he was a kid too. No apologies needed; I think you answered my question.